Now this is something to get addicted to. 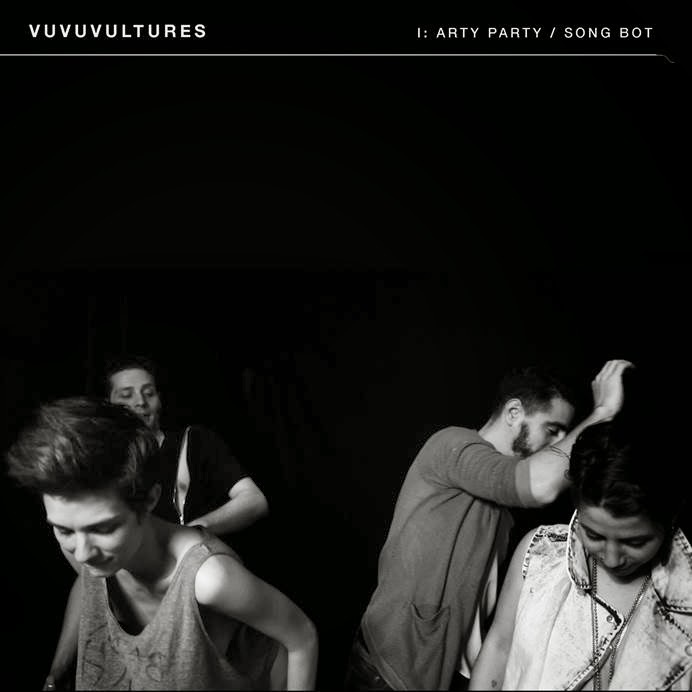 Vuvuvultures are a four piece and this is their upcoming single Arty Party, and it is gogogood. These guys have gained a lot of support since the release of last year’s Push/Pull and Arty Party looks set to continue the movement as they bring their energetic “atmospheric pop-noir” sound into 2014. Arty Party definitely has it’s sights set on the listener’s hips as it’s distorted riffs definitely contain a hint of dance to them. The plinky synth beat adds some extra texture to the airwaves and the tempo is set just right to be able to move from side to side in the weirdest of ways. The track also has explosives moments of intense guitar playing which fit in well with the verse’s off kilter momentum, and the female vocals direct the entire thing perfectly. Vuvuvultures have definitely got themselves a hit with Arty Party, and as this looks to be the first set of five singles the band plan to release throughout the future, it looks like we’ll be becoming big fans of them too. Awesome. Check out the video to Arty Party below, and look out for it’s official release on 19thApril via Energy Snake Records/Cadiz Music LTD.
For more music reviews, free downloads and goddddddddamn this is good. Check out Exploding Head Syndrome on Facebook and Twitter.